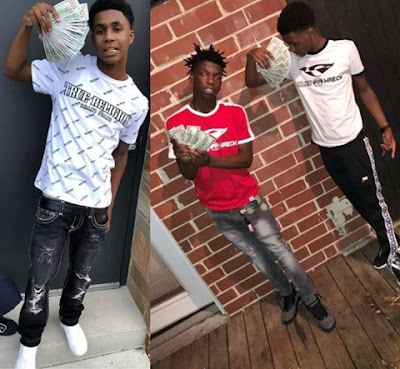 Three young aspiring American rappers were killed on Tuesday night, June 5, in Jacksonville, Florida, while another was in critical condition after multiple shots were fired at a car at the Town Center Parkway, just off Interstate 295. . According to Lieutenant Craig Waldrup of the Jacksonville Sheriff's Office, one person died at the scene, the other two died in the hospital, while the fourth identified as Yungeen Ace is currently in critical condition. The murdered were identified as Trevon Bullard, 18; Royale D'Von Smith Jr., 18; and Jercoby Da'Shad Groover, 19. Jacksonville police said in a statement it was unclear exactly what caused the violence, but investigators said a vehicle pulled up next to the victims' car, and at least one person inside opened fire before leaving. Sheriff Mike Williams described the incident as an example of what happens to some young adults involved in the wrong side of the music industry. "This is one of the problems we've talked about, you have young people in this activity and this is what happens, to be honest, it's a big disaster and we're solving it," Williams said. "It's tragic, but what comes with that culture is a lot of violence, a lot of weapons and drug activity, and every time you have that, there's this violence, you never want to graduate at that big city level, but it's a problem "